Space for guests is rare in New York City. 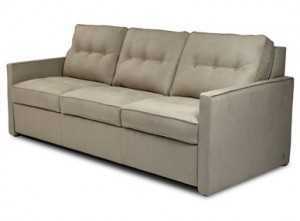 But people always want to come visit us, so finding a great sleeper sofa is almost a necessity for those who live here. My all time top pick is the Samoa sofabed from Suite NY. 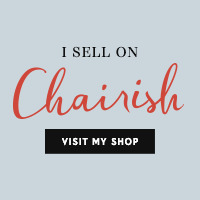 In posting this, i realize it’s no longer available from SuiteNY. If anyone knows where to find this, I’d greatly appreciate a shout out! 1. Mostra Sofa Bed by Ligne Roset ($5655) – New last year and designed by Didier Gomez, the Mostra is unassuming in presence and has one of the easiest transitions from sofa to bed we’ve ever experienced. It uses a patented Lampolet mechanism that takes care of the heavy lifting. Remarkably, all the cushions stay on the sofa as it transforms to a bed — meaning you don’t have to have a place to store them. 2. Soto Sleeper Sofa from DWR ($4600) – Designed by Jeffrey Bernett, this sofa bed for DWR is part of the Soto family of upholstered seating which includes a sleeper sofa, sleeper chair and storage ottoman. The Sleeper Sofa is a meticulously designed sofa bed that is one of the best we’ve seen and experienced. 3. Reese Sleeper from Mitchell Gold & Bob Williams ($3220 – 20% discount right now) – For a few different styles, Mitchell Gold & Bob Williams are a good option and offer 15 sleepers with a traditional spring mattress. I chose to show the Reese because it’s the most unusual sleeper design I saw, as well as being very svelte. 4. Nomade Express from Ligne Roset ($3610) – A classic design with simple action, the quilted back folds down to give you a nice big bed surface with no springs or bars. 5. 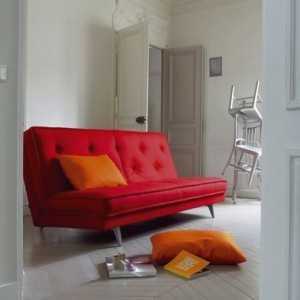 Havana Sleeper Sofa from DWR ($3500) – Aaron really likes this because it’s big and low with storage. 6. 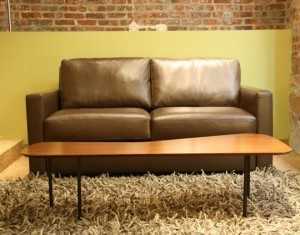 James Lounge Sofabed by Gus Modern ($1695) – The James Lounge is the only convertible sofa from Gus Modern. Similar to the classic George Nelson daybed, it’s a simple design that is a quick transition from armless sofa to twin sized mattress. 7. Natasha Comfort Sleeper by American Leather ($2599) – Not just about leather anymore (though they do have plenty if you want it), AL has made a name for themselves in the sleeper category with the patented Tiffany 24/7 platform sleep system, which removes the springs and bars to create a totally even sleeping surface. It can also be topped with Tempurpedic foam. There are eight other designs in their Comfort Sleeper line. 8. Pierce Sleeper at Room & Board ($2699) – Room & Board offers some exclusive designs with the Comfort Sleeper platform system which is made by American Leather. 9. 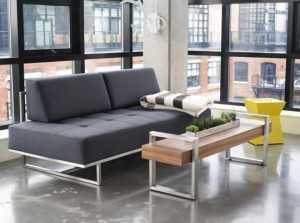 Twighlight Sofa from DWR ($1880) – A very popular solution, this daybed design is slim and modern, without any fuss. 10. Metro Sleeper from Room & Board ($1899) – A classic design that can be customized with fabric or stain and a more affordable air coil inflatable mattress: “The mattress features a combination of supportive coils topped with an inflatable air chamber for customizable comfort. Please comment below if you have a favorite not listed above!